ATLANTA - Aug. 30, 2013 - PRLog -- Just in time for homecoming season, the Enchanted Closet (www.enchantedcloset.org) received another donation of beautiful dresses from its retail sponsor Bella Bridesmaid Atlanta. "Bella Bridesmaid has been a valued community partner to the Enchanted Closet for several years and has contributed to us outfitting nearly 5000 girls for prom, homecoming, and other special occasions. We greatly appreciate their support and are absolutlely elated for the girls who will wear all of these beautiful dresses," said Bonita Johnson, Executive Director. Bella Bridesmaid (www.bellabridesmaid.com) was created in response to an overwhelming need for stylish, wearable and chic bridesmaid dresses. There are presently 43 locally owned and operated Bella Bridesmaid stores in the U.S., including one location in Atlanta that is owned by Mandi Jackson. The boutique offers a departure from the typical bridesmaid dress experience — fresh, modern dresses and personal service in an upscale, approachable and one-on-one environment. 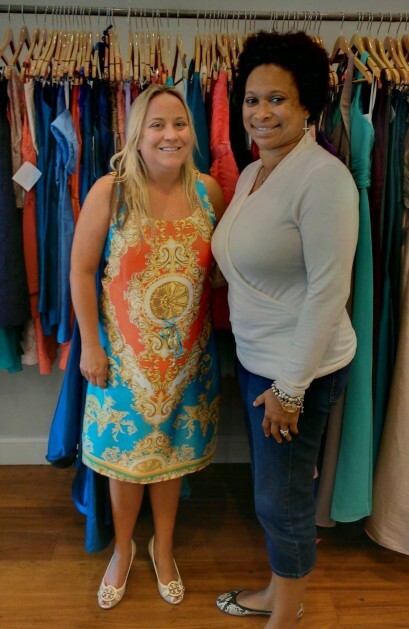 "One aspect in particular I love about my job is working with Enchanted Closet here in Atlanta. Enchanted Closet is a volunteer-run, private non-profit service organization whose mission is to physically, mentally, and emotionally outfit Metro Atlanta high school girls from low-income families. The organization has created programs that prepare these young girls to reach their social and professional goals. Bella Bridesmaid works directly with the Enchanted Closet to outfit these teens for their proms. It is so much fun being the retail sponsor for this organization and knowing that I send several girls to proms each year with fabulous Bella Bridesmaid dresses! ", said Mandi. When asked why she donates to the Enchanted Closet, Mandi said, "every girl deserves to feel and look pretty." The fashionable and new dresses Mandi donates to the Enchanted Closet include the brands: Alfred Sung, Amsale, Bill Levkoff, Jenny Yoo, Ivy and Aster, Lela Rose, LulaKate, and many more. The Enchanted Closet's Prom Dress Giveaway Program began in 2003 to provide prom dresses to teenage girls whose families were financially challenged. During the Prom Dress Giveaways, the Enchanted Closet offers a boutique-style setting and provides personal shoppers — people who are volunteers — to help each girl choose that perfect dress, accessories and makeup for their special night. To date, the Enchanted Closet has outfitted nearly 5000 girls for prom, homecoming, and other special occasions. In 2013, the organization will celebrate its 10th Anniversary. Registration for the Prom Dress Giveaway Program opens online in early February of each year. Girls needing dresses for homecoming and other special occasions may submit requests for dresses at https://www.surveymonkey.com/s/requestadress. Bella Bridesmaid Atlanta is located at 99 West Paces Ferry, NW, Atlanta, GA 30305. The Enchanted Closet Boutique is located at 6309 Roswell Rd. NE, Suite 2F, Atlanta, GA 30328.